SCHNELL Motoren exhibited from 15th to 18th November 2016 in Hanover at the Energy Decentral exhibition, for the first time as part of the TEDOM Group. 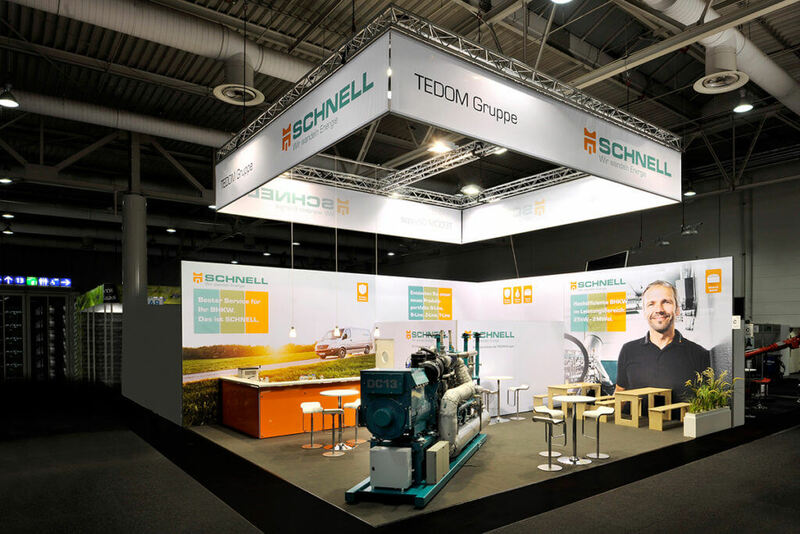 At the exhibition, SCHNELL introduced a new product portfolio, which also includes TEDOM CHP units. A new model, a successor of the best-selling SCHNELL DC 12 with Scania engine, was introduced. The new DC 13 CHP unit will be available to customers in the near future.The connection of TEDOM and SCHNELL has created synergy for both the companies. TEDOM is a successful player in the field of cogeneration from natural gas and has many years of experience in dozens of countries around the world. SCHNELL, on the other hand, is strong when it comes to biogas, and not only in the domestic German market.